I love doing paper crafts because they are easy and quick and there is an impressive selection of decorative papers to choose from. You can find decorative scrapbook papers at lots of different stores nowadays, plus you can even download them from the internet and print them with your home printer. The thing about these decorative paper is, you can use them for so much more than just scrapbooking and that is what this article is all about. I wanted to show you some different projects you can do besides just scrapbooking with all these pretty patterned papers. I am hoping to inspire you with these different ideas. So... get your good pair of scissors out and let's get going. 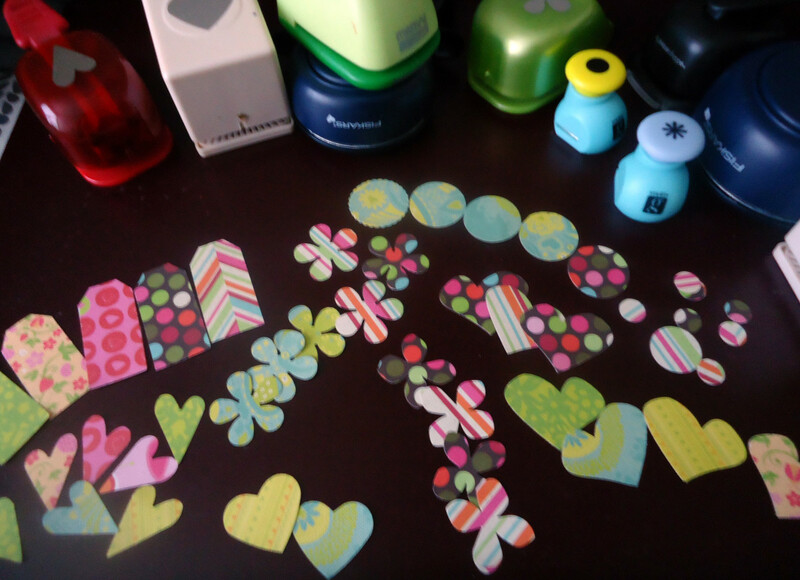 You can use craft paper punches to cut shapes out of patterned or decorative papers. It's easy to do and they make nice embellishments that you can use for many different paper crafts such as decorative garlands, cupcake pics, make dimensional embellishments by stacking shapes using foam dots or squares between each layer, etc. Use them to embellish scrapbook pages, handmade cards, journals or even wrapped gifts. 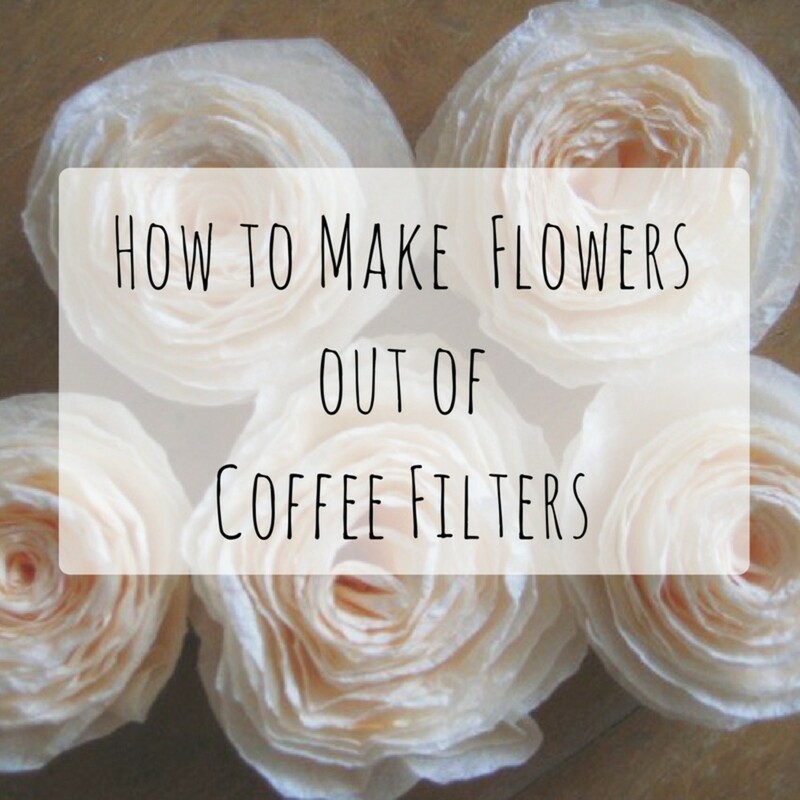 Use them to make a bouquet like here. Use them to make garland decorations for birthday parties or holiday decorations. Print a template onto a sheet of pretty card stock, cut it out and assemble. Use a paint program to fill the template with your own design, print, cut and assemble. Use a ruler and straight edge to make gift boxes like in this tutorial. There are lots of free templates for small gift boxes available online. The little purple box/bag was made using this template and tutorial at Homemade Gifts Made Easy. 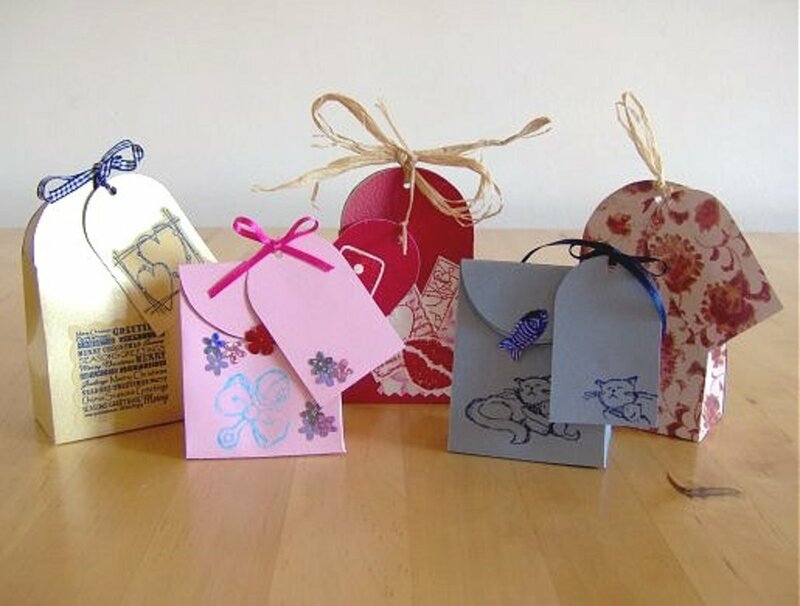 You can use decorative papers to make a gift bags as well. Just like with the gift boxes, there are also tons of free templates online available free for download so you can make your own gift bags. 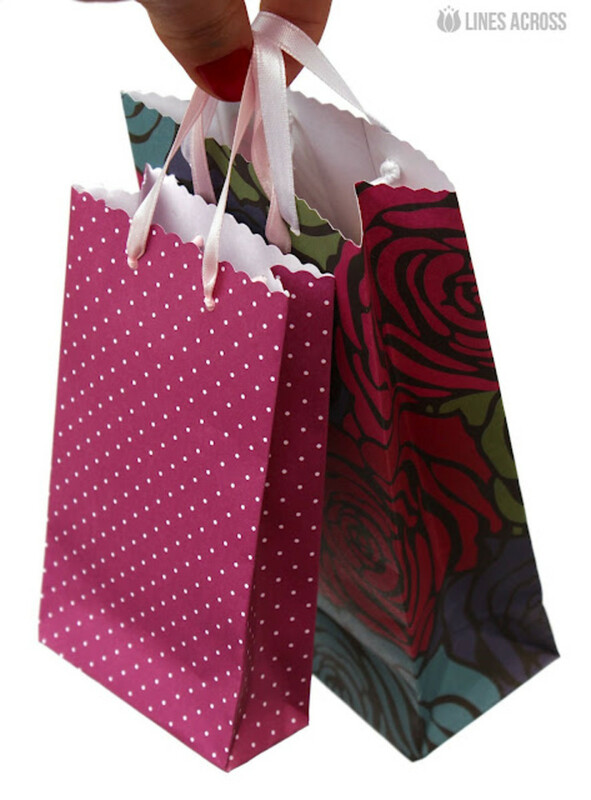 Find a free template online and print it onto patterned paper and make a gift bag. 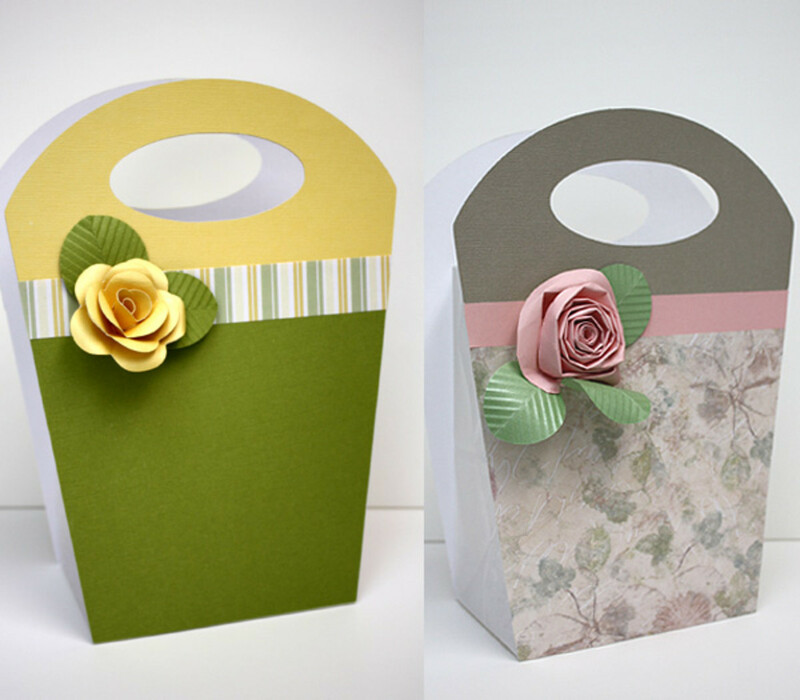 Make gift bags by covering cereal boxes with pretty paper, like in this article. Use 8.5x11 and 12x12 sized paper for small and medium bags and use a thick wrapping paper or packaging paper to make larger gift bags. Go to Gem's Cottage Blog for the free tutorial including template for the cute bags in the first photo. The cute little gift bags with matching tags in the second photo I found over at Things to Make and Do along with a fantastic tutorial and in the third photo are DIY gift bags over at Lines Across. 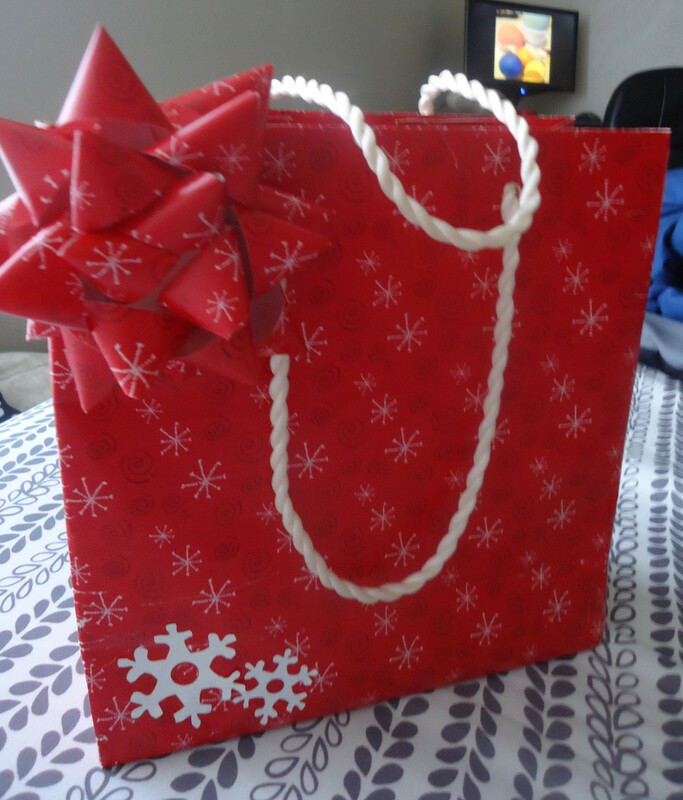 In the last photo is a gift bag that I made using a a cereal box as a form and some wrapping paper. I constructed the bag and then removed the cereal box. The handles were recycled from an old torn up gift bag and I couldn't help but make a matching bow for it. 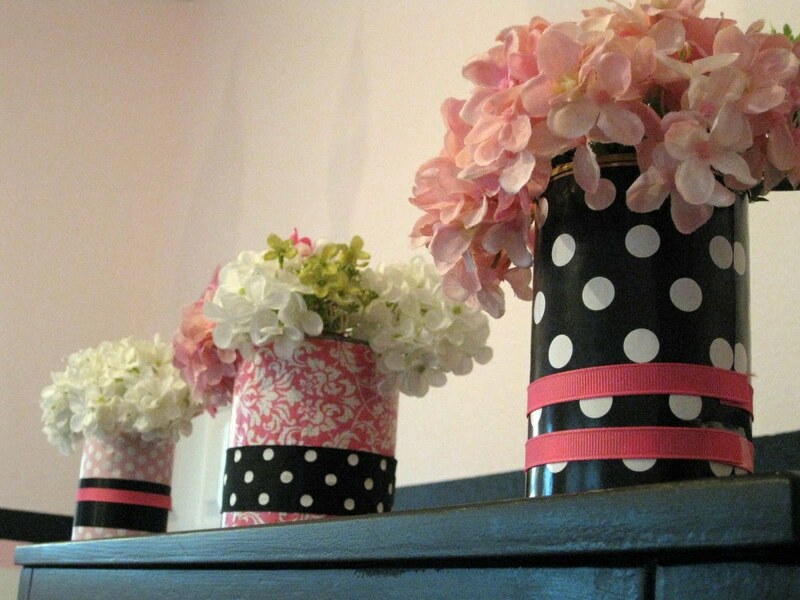 Cover a tin with decorative paper to make a pretty container. You can find tins for a dime a dozen at thrift stores or you can use smaller ones like the Altoid mint tins and similar. Cover small tin cans and coffee cans and use them for storing pens, pencils,etc. 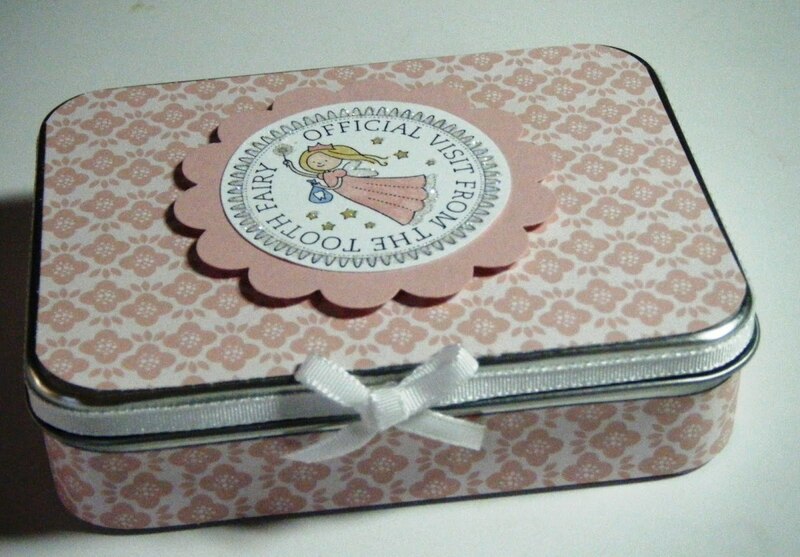 Decorative tin containers also make the perfect packaging for small gifts, gift cards and even a place to put a tooth in for the tooth fairy like this cute tin over at Jennifer's Stamp Pad. I also fell in love with the paper covered cans in the second photo that I found at Life Rearranged. They do make lovely flower vases! 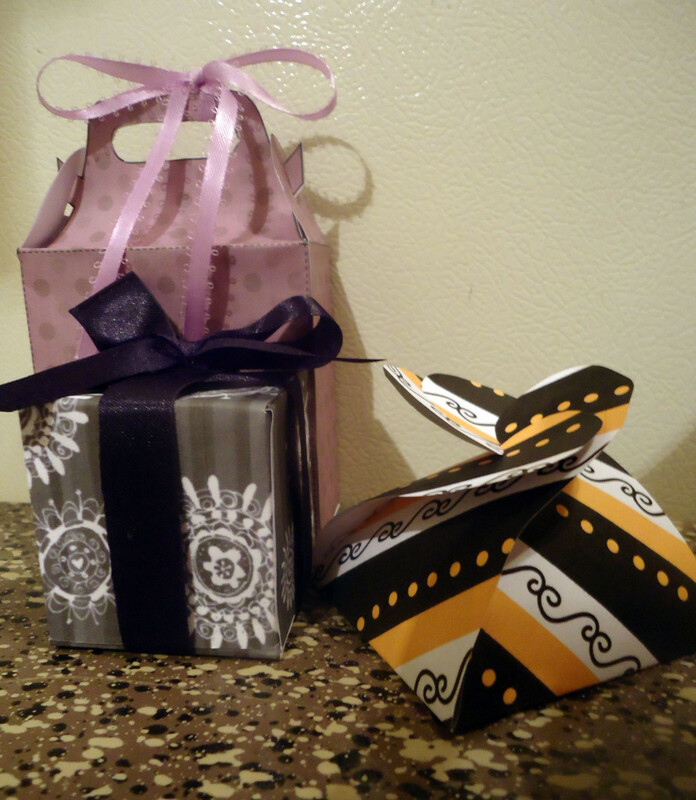 Use decorative and patterned papers make nice gift bows. You can also make cute matching tags and embellishments for your gifts! 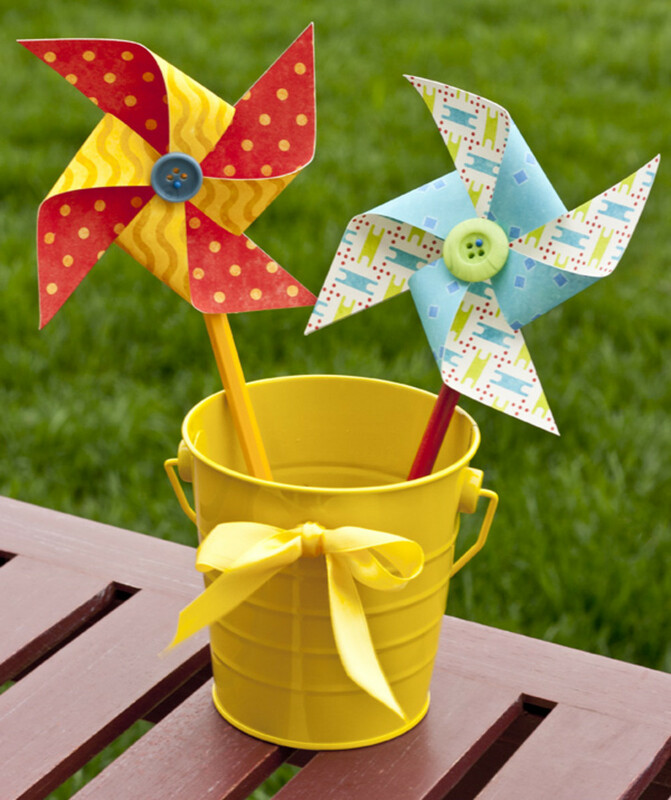 Pinwheels are lots of fun for kids and they also look pretty in the garden. 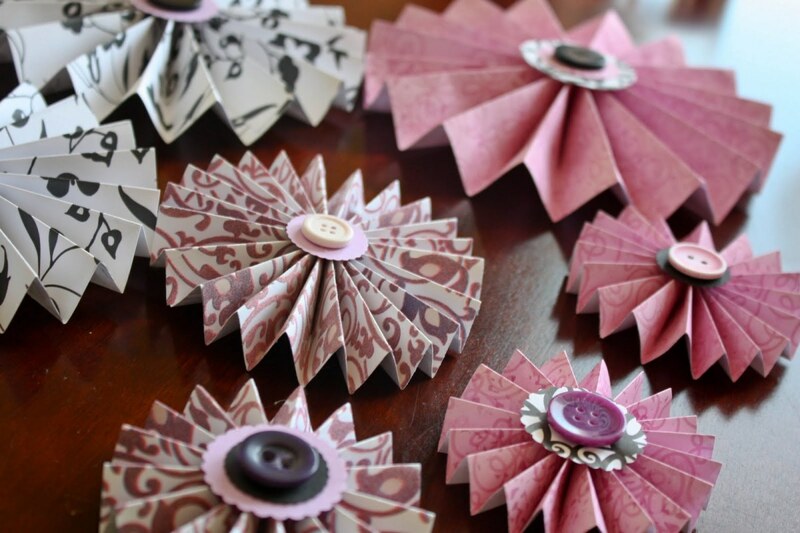 Did you know that you can make your own using pretty paper or card stock? I can't get over how precious this bouquet of "fringe flowers" is I found over at handmade crafts! These are really nice. You could omit the wire and use these flowers to embellish your scrapbook layout, handmade cards, picture frames, gift wrapping and all kinds of things. 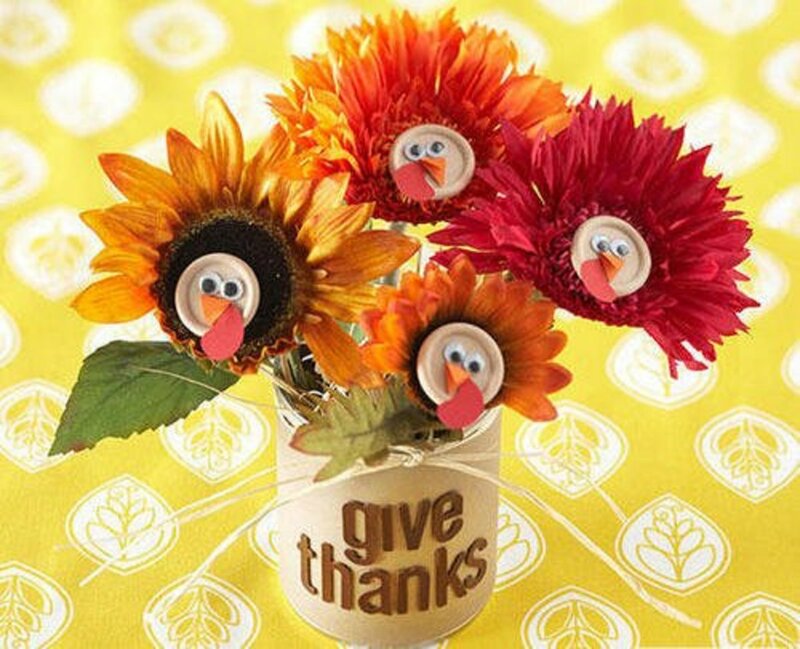 Tip: They actually have scissors that will shred now so you could use those to fringe up the edges of the flowers. Martha Stewart has shredder scissors out but I bought a generic brand for 5 bucks on Amazon and they work great. 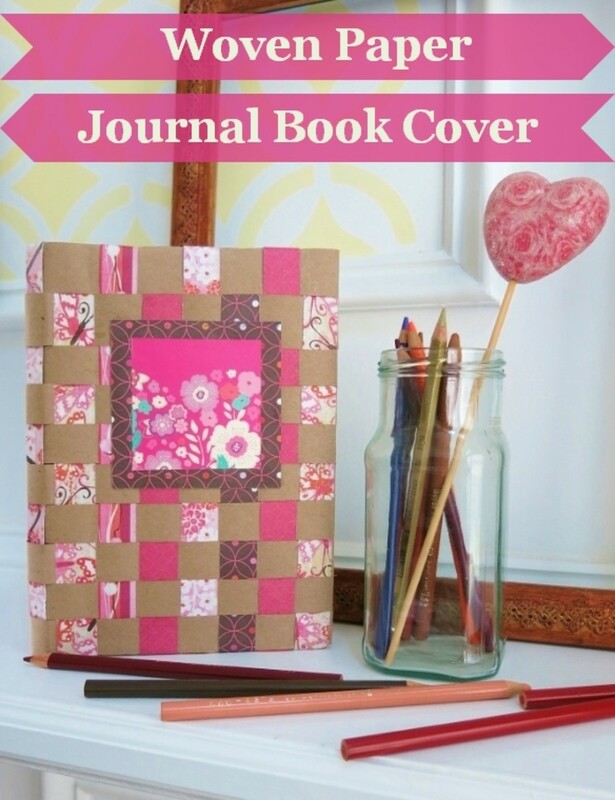 Turn a plain journal, blank composition book or even a regular notebook into something really pretty. 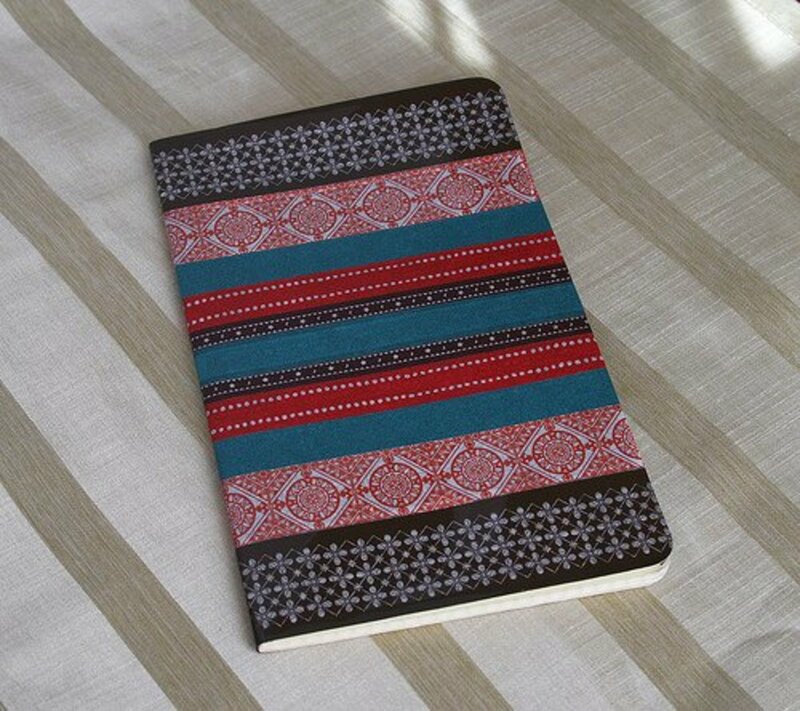 This journal was covered with decorative tapes but the same look can be achieved using pretty patterned papers. You could even use wallpaper, wrapping paper, newspaper, etc. Want a matching pen for your journal? Here is a tutorial by Patty over at LaLatty Stamp 'N Stuff that has great photo illustrated instructions on how to cover a journal with pretty paper and it shows how to make a matching ink pen to go with it! You could even make matching pencils sort of like ones I found at Made Right Guide. These are nice and she even shares the tutorial. 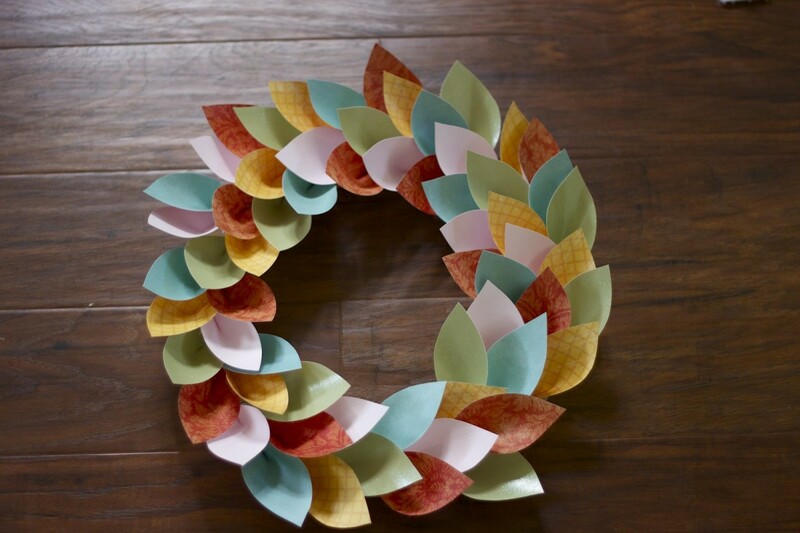 This is a perfect project to help use up leftover scrap paper. 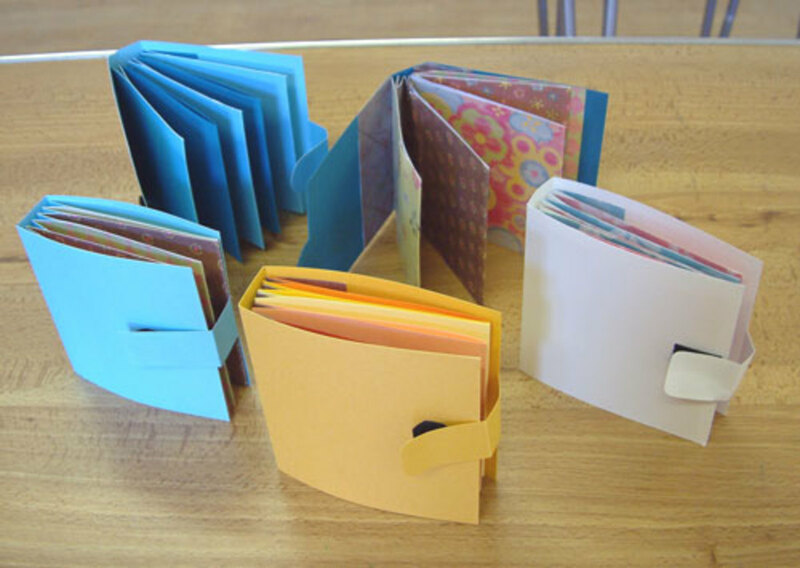 Make some matchbook notebooks or mini notebooks! These cute little notebooks make great party or wedding favors or even stocking stuffers for Christmas. They are fun and easy to make! Simply cut the cover out of card stock, cut paper for the inside and staple them together. 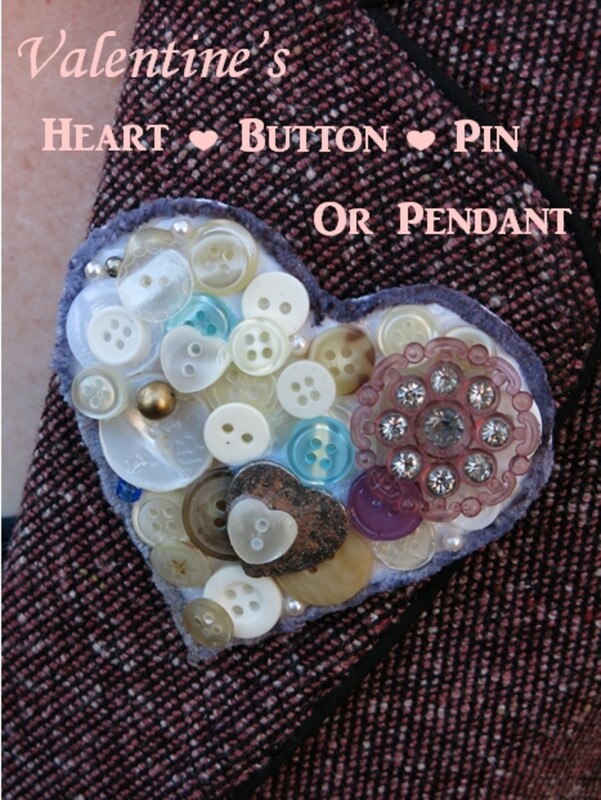 Here's a great tutorial from Tonya over at The Craft Mummy! 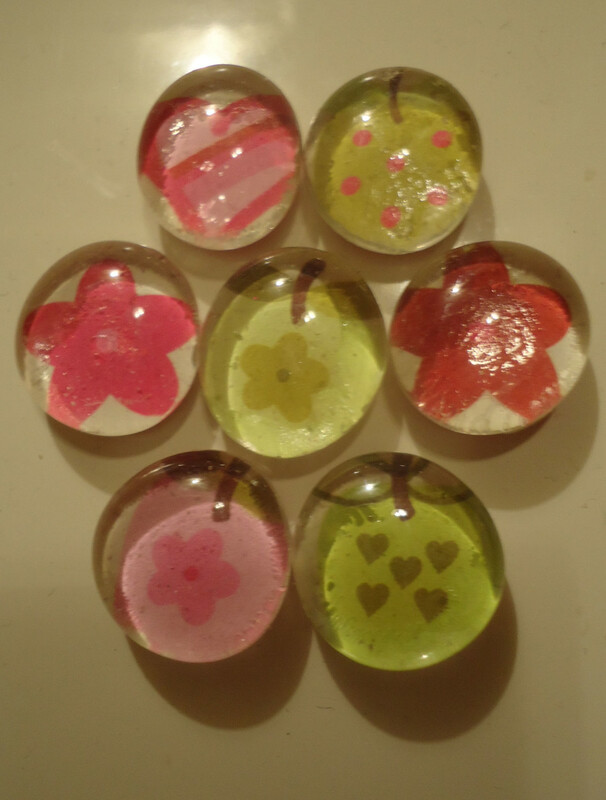 These are those inexpensive flat marbles that you can buy in the floral section of stores. They make perfect little magnets for the fridge, magnetic bulletin boards, metal cabinets, etc. These are perfect for holding pictures, journaling and things like that- like mini scrapbooks. They look fairly easy to make as well and I love that they have a accordion style spine.. I had never seen these before. The covers are like a blank canvas, allowing you to decorate them however you would like. See this tutorial over at Sundayl Designs. 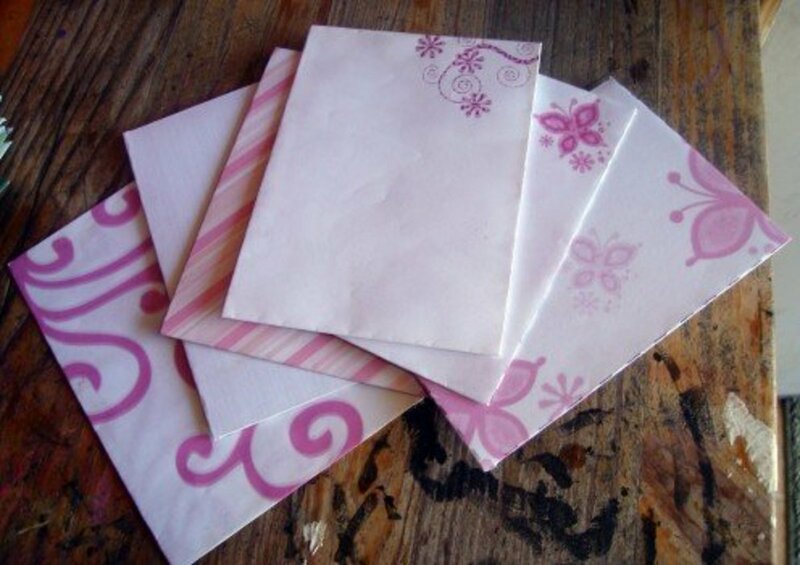 Make your own envelopes out of pretty paper. They are really easy to do. Don't forget to make a matching card! 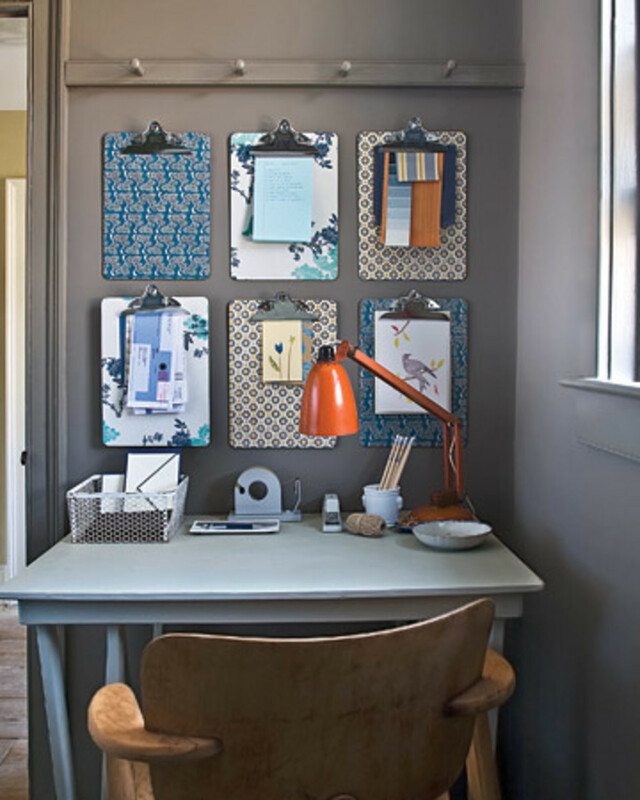 Make some pretty decorative clipboards and hang them around your office space... or anywhere you need one! You can make beautiful beads out of patterned papers. 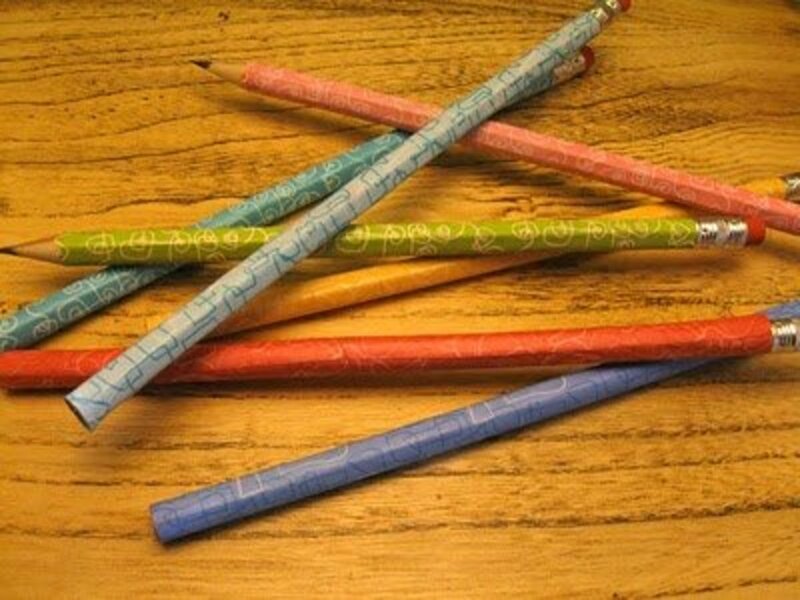 You can actually make these beads out of just about any type of paper including magazine pages, newspaper, wrapping paper, etc. 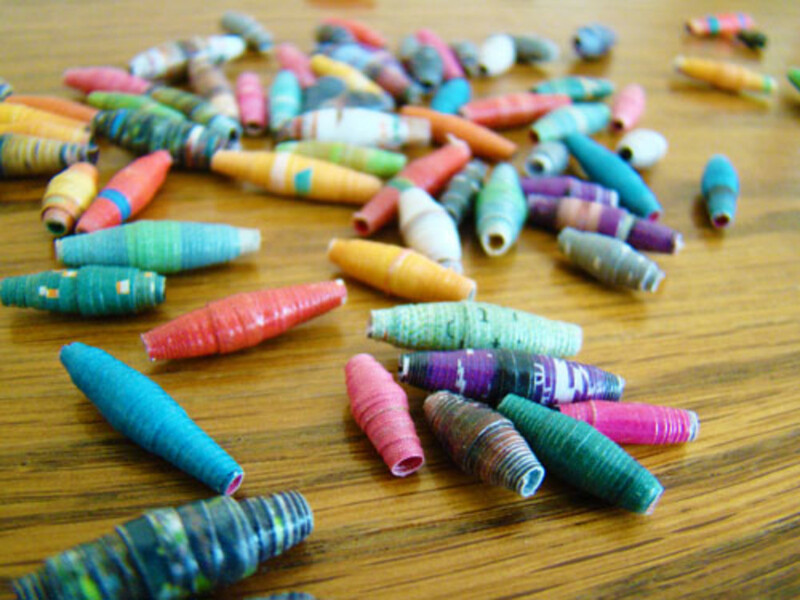 For a wonderful paper beads tutorial, go to mad mim. 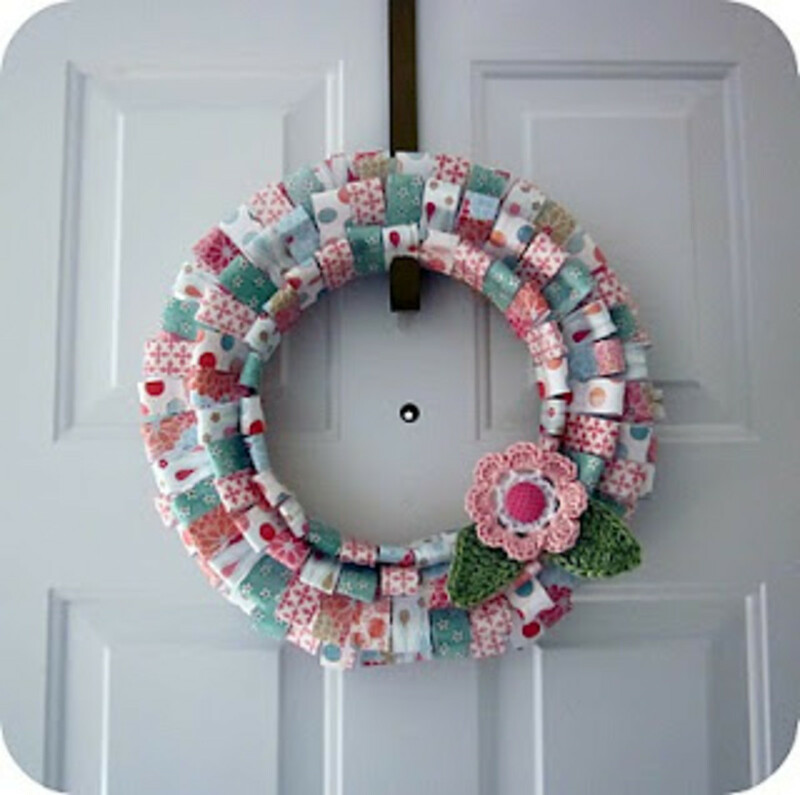 Did you know decorative papers make pretty wreaths? Over at DIY Showoff, I found the tutorial for this super cute paper leaves wreath. How cute is this? Think about the different color combinations and prints that you could use for this. The possibilities are endless! 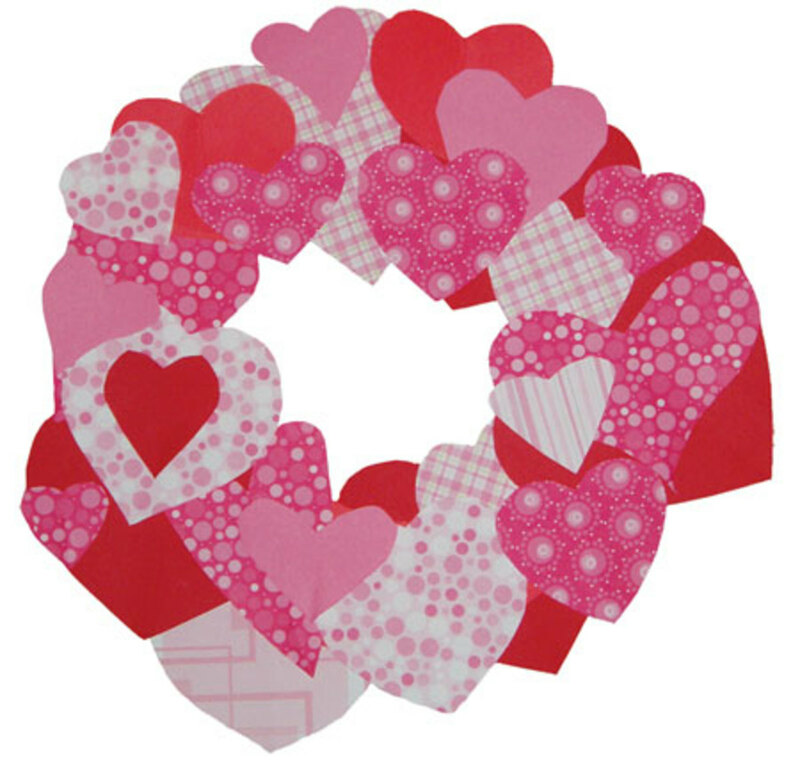 Here's a super cute paper heart wreath I found over at North Texas Kids. What a cute kids craft for Valentine's Day! 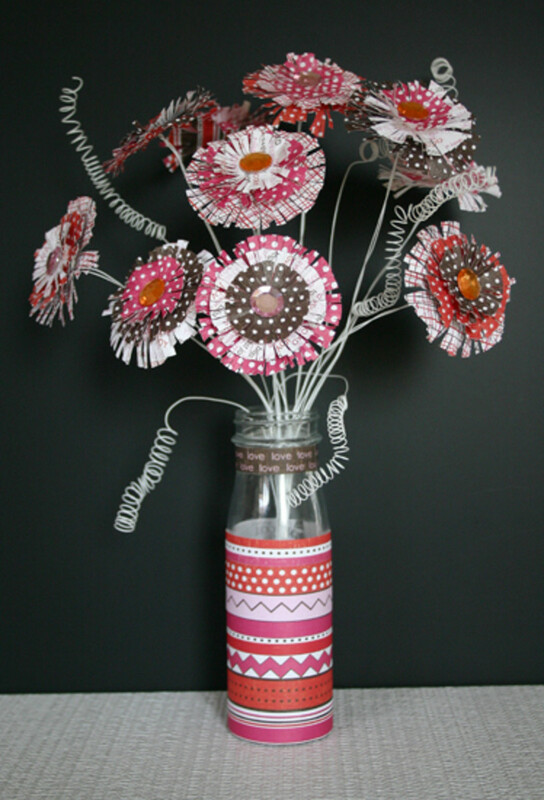 Looking for easy paper crafts that you can do with the kids? What about these little cuties? I found these over at Projects for Preschoolers. I know this is a craft for preschoolers, but I would SO LOVE to make some of these myself! Use pretty patterned papers or decorative paper to embellish ordinary clothespins and turn them into fridge magnets, card and photo holders, decorative clips for the kitchen, etc. Here is a Embellished Clothespin tutorial. 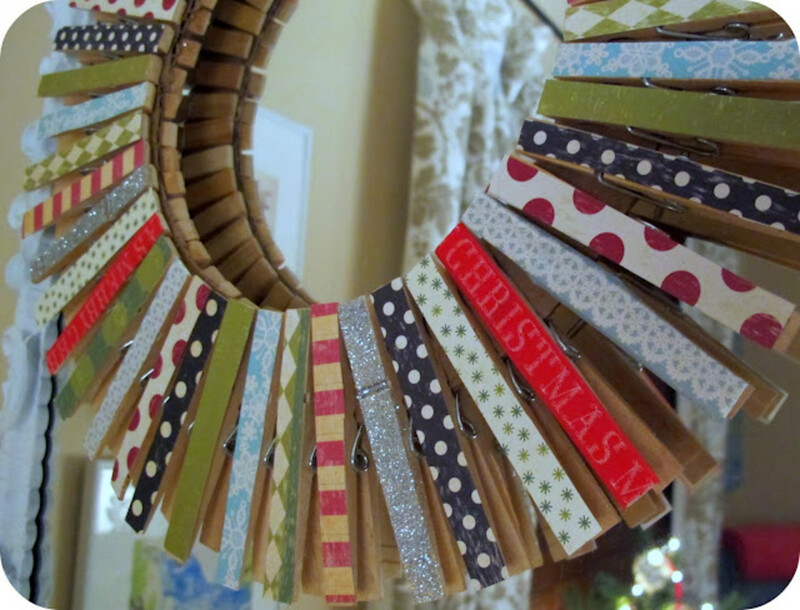 Another thing you can do is make an adorable clothespin wreath, like this one I found at Superfluous. Inkjet ink is NOT waterproof so be sure to seal your printed papers with something like Mod Podge or do some light coats of a spray sealer. This will help protect your paper projects so they will not run or blur if water comes in contact with them. I hear they have waterproof inkjet printer inks out now but I have never tried them. Laser printer ink (black or color) will not run and is more economical to use. From what I understand, it can be used for different patterned papers but will not do as good of a job as inkjet printers for photos. It's worth a try, though. If you have one, I would love to hear experience with it! For the best possible print, use a good quality paper or cardstock. The quality of the paper does affect the look of your finished print. Print borderless when you can, the finished print out will look better and it's great for when you are making cards and things like that- less cutting. Some printers have the option and some do not. That's about it....I hope that you have enjoyed these ideas! Designitbig- You are so welcome! Thank you for dropping by. I love the idea of making the matching pen to go with the journal. I wouldn't have ever thought of doing that. Thanks for sharing some great tips. 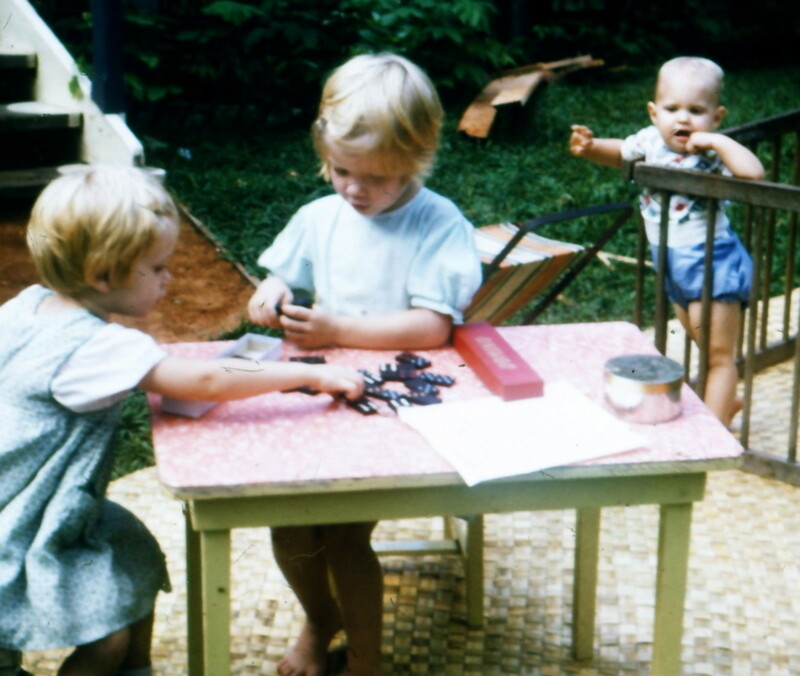 Diana Abrahamson- Thank you! Glad you enjoyed the hub! Pretty cool and just pretty awesome, Jamie. Love it all! 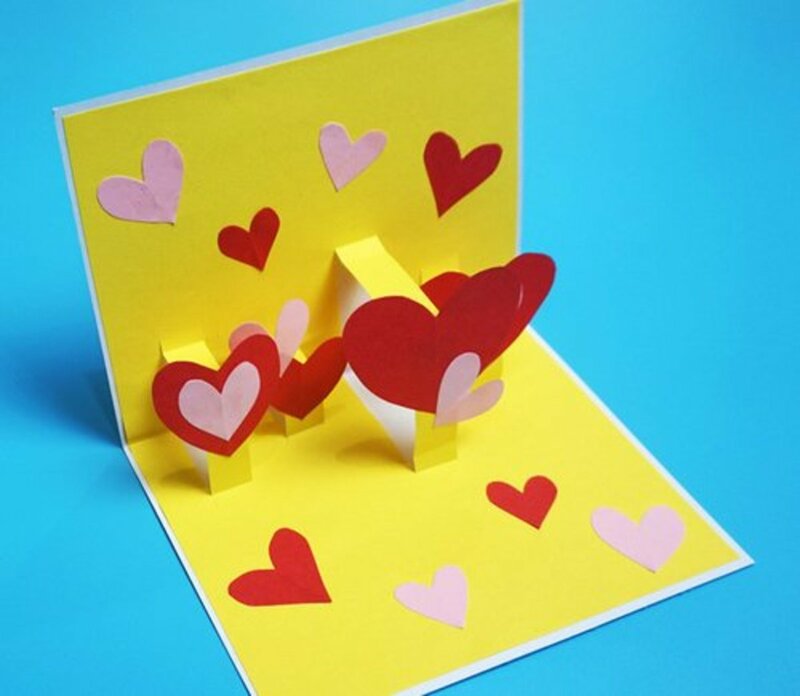 Love your paper craft. The birds are beautiful! What brilliant ideas for things to do with paper. I'm going to try some of these, especially the gift bags. Della Read- Thank you for sharing this! This is wonderful Jamie. I've posted it on my blog Artful Paper Crafts over at http://artfulpapercrafts.wordpress.com/ as I continue my obsession with paper scraps! tiffany delite- What a great idea.. I bet something really could be made with those large cereal bags.. I haven't even thought about those. Maybe cut the top off a few inches down and figure out a way to add some handles... I bet it could work! Will be thinking about that one for sure.. Thank you so much for dropping by! partycraft secrets- You are so welcome and thank you for sharing them first on your blog :) I can't wait to sit down with my little one to make them! Vickie Smith- You are welcome! Thank you for sharing them on your blog.. they are super cute. Thank you for stopping by as well. Hope you are having a great day! 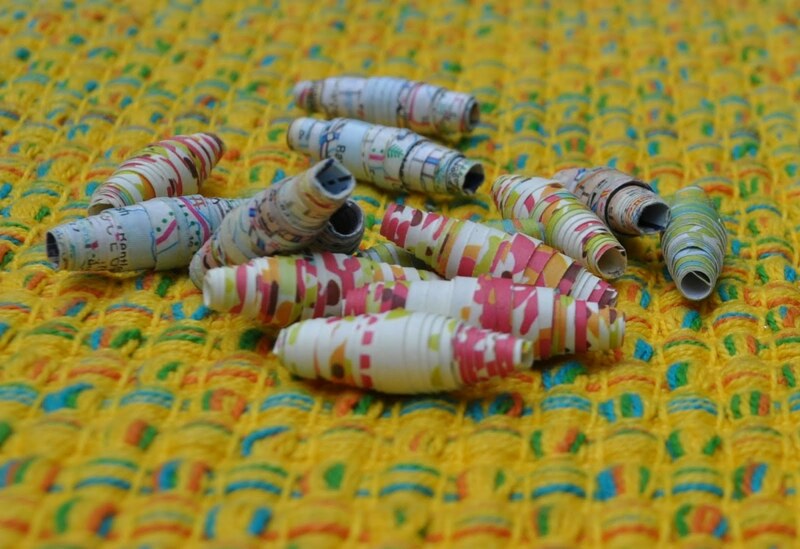 Thanks for adding my paper map beads to your roundup! They are fun and addictive. danielleantosz- Thank you for stopping by, glad that you like them! Love the bow and wrapping ideas! You are just as creative as you can be. I wish I had found this a few weeks earlier. I was teaching a fun art class in summer school. The kids would have loved this. Up and awesome. 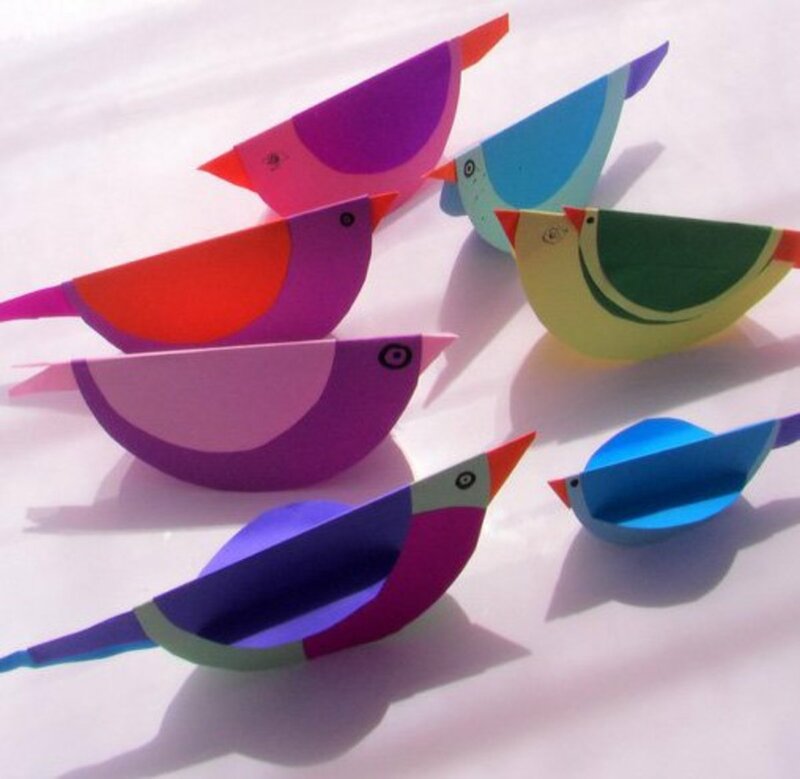 All such pretty ideas, love the paper birds. Thanks for sharing. TToombs08- Wow, thank you so much! 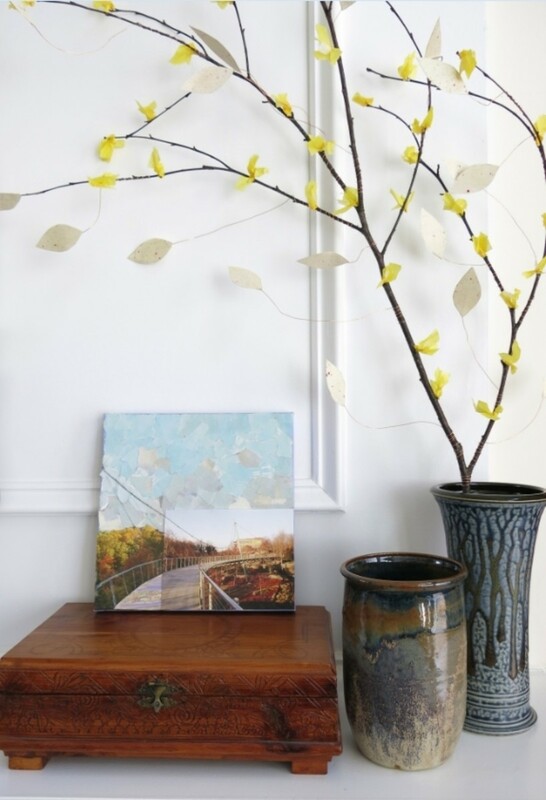 I am happy that I could give a few ideas about what to do with your box of art papers! Have fun with it and thank you for the vote up and pin! Patty, you are some welcome.. I LOVE that journal and pen.. it's gorgeous! I will definitely be back to feature some of your amazing crafts! Thank you so much for taking the time to drop by and I'm so happy that you enjoyed the hub. 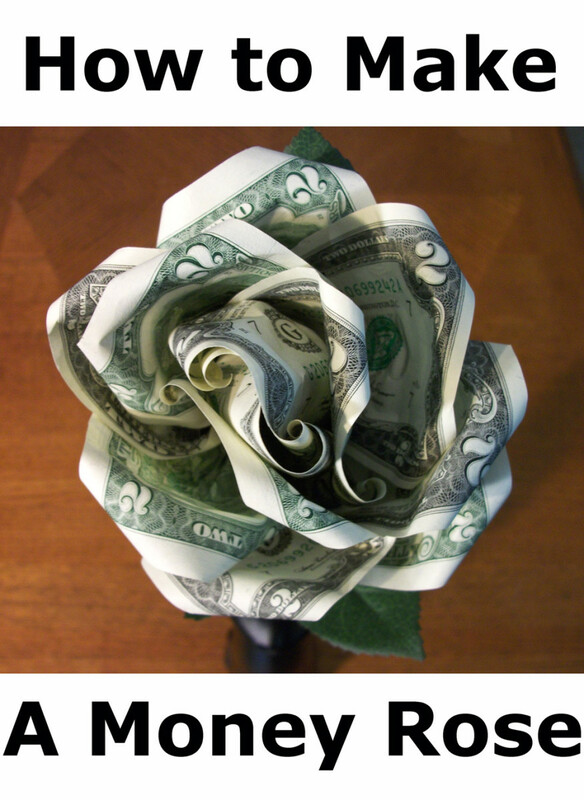 It is truly amazing what people are doing with paper these days! These are some FANTASTIC ideas! I have a huge box of various art papers and I was just wondering what I could do with them. Love this...voting up and pinning! Thank you for letting me know that you linked my matching journal and pen, that was so nice of you. Feel free to link any of my tutorials. I'm so happy to share them. 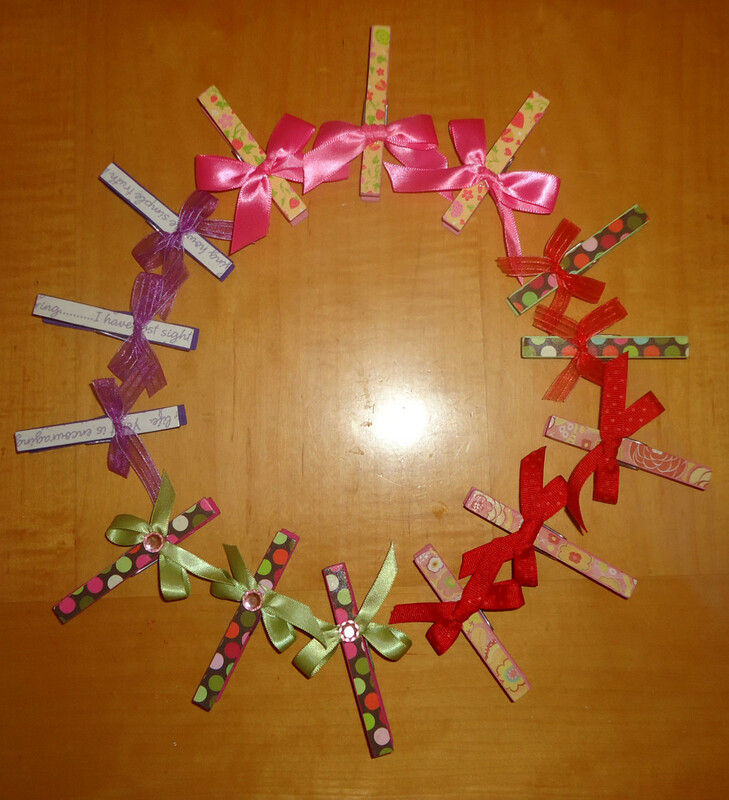 I love the pinwheels, rosettes, and paper wreath you posted, such wonderful projects. Impressive, arts made easy. This hub contains very helpful information. Thank you. Such cute stuff and such--love these ideas! The pinwheels are darlings. 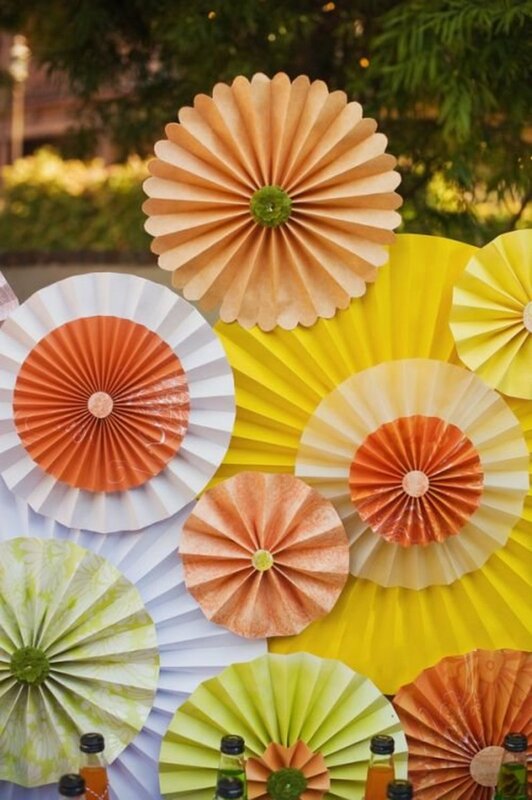 Combined with the paper flower bouquets they would be delightful outdoor party arrangements. I'm also inclined to add the birds to the paper leaf wreaths. However, making a mobile out of the birds (leaves too, now that I think about it) is very appealing at the moment. Jackie Lynnley- Thank you for dropping by :0 ) I want to try the pinwheels and fringe flowers too...if you are looking for a quick and easy one, the marble magnets are great.. I've made those a few times and they are such fun. Thank you so much for the vote up! Well done as always, Jamie! I love your craft hubs. It is amazing how many different things you can make with decorative papers. I always learn so much from you! 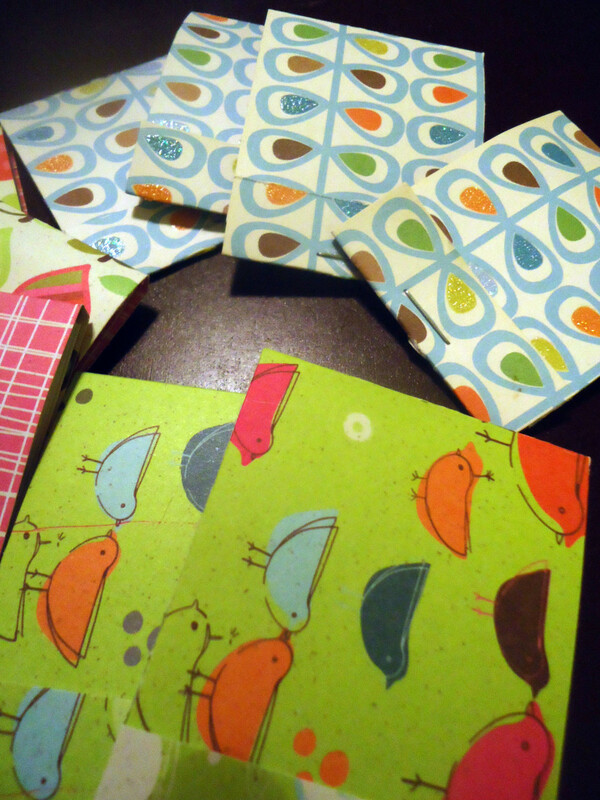 I've made paper bows, cards, envelopes, pinwheels, and flowers using your tutorials...next up - boxes and bags! Love love love the beads! It's a great way to recycle old magazines and it's amazing what colors one can find on the pages. Great hub and very inspiring! Gotta get my crafting hat on now. Cute projects! Many of these could also be done with reused paper - old books, magazines, newspaper, comics, wrapping paper. Thanks so much for linking up my tutorial for your post! Great collection of crafts, too! This looks like so much fun! I love the pinwheels and fringe flowers...but then I love the marble magnets and paper beads too. Thank you, I am going to start on at least on of these! Voted up! The paper loop wreath and the button flowers are cure, but my favorite of all is the fringe flowers. I've seen them before, but never in those paper patterns with the polka dots, etc. They really stand out with the twisted wires and a jar decorated to match. Oh yes, and the gift bows. A great way to use up paper, whether it's been printed on, gift wrap, or even newspaper. Just make some long paper strips/ribbons and use your bow maker to create a bow. You always have such great ideas! Voted you up and the works! This is such a great hub especially for me who is always happy to find beautiful new ideas to create. I am bookmarking this and sharing. Thanks for taking the time to write this and your lovely photos. Voted up up and away.